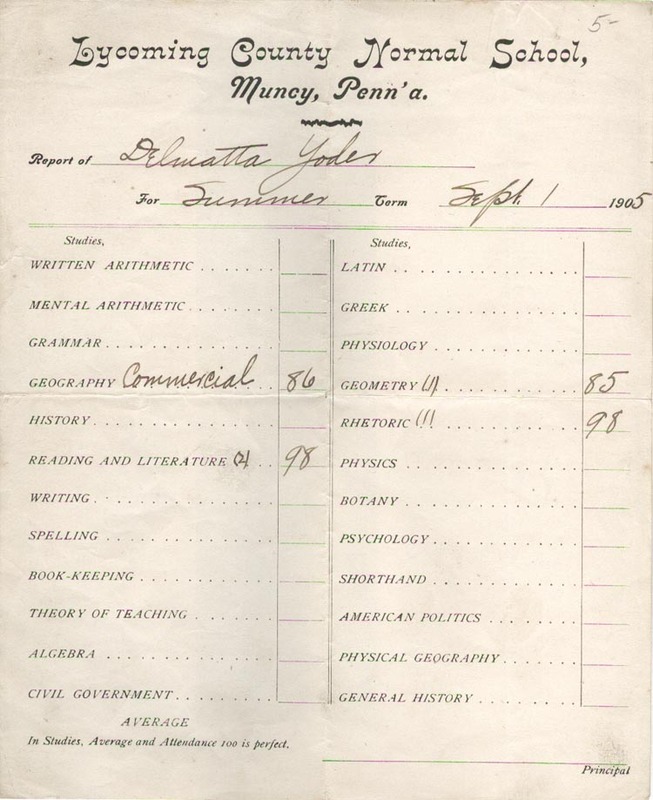 Lycoming County Normal School, Muncy, Penn'a., Report of Delmatta Yoder for Summer Term, Sept. 1, 1905. Are you looking for YODER ancestors? If so, we suggest posting a query to our Community Message Board to get assistance from other researchers.